Collecting Asylum: Asylum Reviews; Aragami: Shadow Edition [Xbox One]. 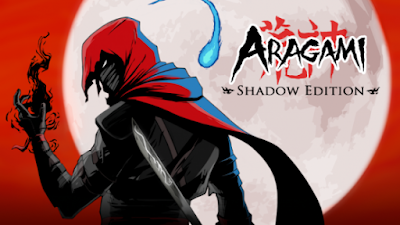 Asylum Reviews; Aragami: Shadow Edition [Xbox One]. Despite already owning Aragami on PS4, we'd never gotten around to properly playing through it due to simply having too many games to get through at once. It reminds us of the old Tenchu games, and really interested us due to it's beautiful Japanese art-style. 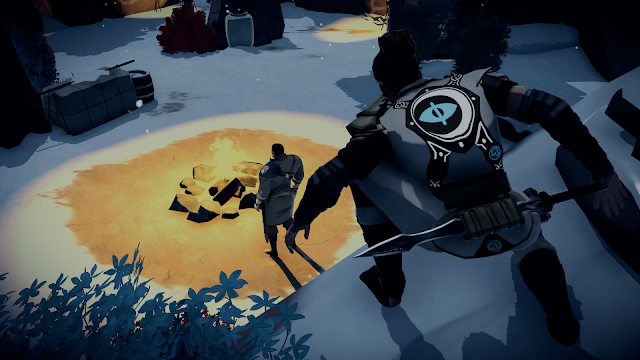 With the release of Aragami: Shadow Edition, encapsulating the main game as well as the Nightfall expansion, for the first time on Xbox One, it was the perfect reason for us to finally dig in. The game is mainly designed to be played as stealthily as possible, with enemies, the Kaiho, having the ability to one-hit kill you with the Light from their swords. They can also throw this Light from a distance, which can sometimes take you by surprise. 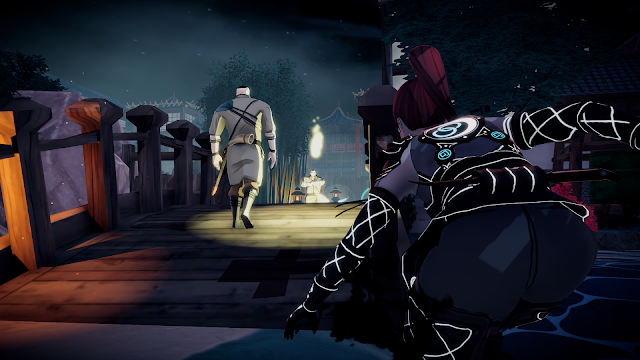 When an enemy spots you, you can quickly try to kill them before they alert others in the area, however Aragami is sometimes pretty slow and stuttery in his movement when in an enemy's sight. Other times you can quickly kill multiple enemies in a row before they can react, but that's not as often. You can kill enemies in a variety of ways, including Stealth Kills, Aerial Kills, and utilising your upgraded skills to take out multiple enemies at once with the Shinen ability - pulling nearby enemies into a black hole, simultaenously killing them and hiding their bodies with ease. Frustratingly, other enemies who are within sight of this black hole engulfing their friends will completely ignore it, oblivious to the fact that their friends are now gone. In order to gain upgrades, you must obtain Skill Points, which you get from collectable Scrolls hidden around the chapters. Upgraded abilities take away some of the impossibility of your plan of attack, wiping out Archers with the Kunai ability, and distracting a group of guards with Sakkaku (which creates a shadow decoy) and of course, my most commonly used ability: Banmoku, which reveals the location of nearby enemies (and once upgraded, will have them marked with a detection meter, which changes colour depending on if they are suspicious or not). Taking enemies out one by one whilst never being spotted feels great, although an enemy counter of some sort would have been a fantastic addition as finishing a level only to not be awarded the Oni medal is super frustrating when you thought you'd wiped out every last enemy. As with all games, and stealth games in particular: I'm a panicker. 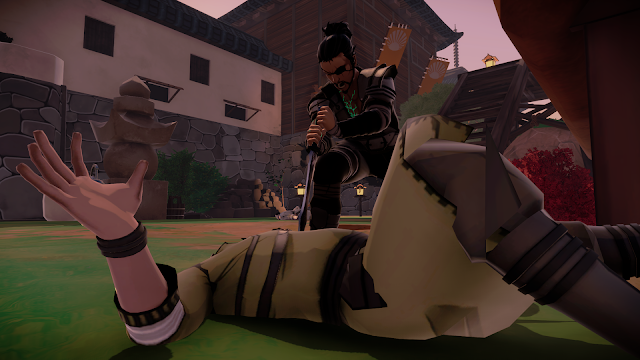 I get quite badly agitated after my first death, and will then fail repeatedly in a short time due to trying to rush. Each chapter can go on for quite a long time, and the checkpoints can be quite spread out, so if a silly mistake kills you/gets you spotted, going back to the last checkpoint can be quite a way back. I liked to explore the maps to make sure I'd gotten all of the enemies as you get medals for completing: Oni for killing all enemies, Kami for no kills, and Yurei for never being detected. This means you'll need to play every level at least twice in order to get all of the medals. Whilst exploring on one of the chapters: Mausoleum of the Fallen, I came across a glitch which allowed me to bypass a door and end up outside of the map. I could run for miles through trees, and work my way around some of the exterior of the castle, but the only way back in was through a slightly open portcullis that I could aim my shadow leap through. This however advanced me a little on the map, meaning I then had to backtrack a bit to ensure all of the enemies had been wiped out. Enemies are not very varied, being either Light soldiers roaming the map waiting to get you with their sword, or archers, aside from the "Boss" type characters. They don't have much in the way of individuality between them, so I would have liked to see a little bit more variation in their character design, but this is a common thing with games on the cheaper end of the scale (and even some big-budget ones) so it's not something that bothered me too much whilst playing. The story, while not too extravagant, did keep me interested and wanting to know what exactly was my purpose as an Aragami. You are summoned by the astral projection of Yamiko, a girl held captive by the Kaiho, in order to help free her by collecting her talismans. Memories and flashbacks are experienced by Aragami as the story goes on, and makes you wonder if there's more to your summoning than first thought. Sound design is fantastic too, with fitting music throughout. Enemies are fairly silent in their movements however, which could have been doing with being a little louder in order to add an extra layer for keeping track of nearby guards. The contrast between light and dark is done really well, which it should be considering how important the shadows are to your character. You fleet from shadow to shadow to work your way through the map - staying in the light too long will drain your "Essence" and make you more noticeable to enemies, so sticking to the darker areas makes all the difference. It's also an interesting situation to have to enemy side be that of "Light" and you, the good guy being dark, which isn't very common. The art is gorgeous, and I really enjoy looking at all of the locations throughout the game: the Japanese architecture, and the beautiful backdrops. The newly added Nightfall expansion is no different, still absolutely gorgeous and adds an extra four chapters to the Aragami story. These take place directly prior to the events of the main game, and fill in some of the gaps. There are two new playable characters, Hyo and Shinobu with all new Powers, who are searching for the Alchemist. You can also choose between playing single-player or online co-op, which is a fantastic addition, and adds a fun new element to the game. 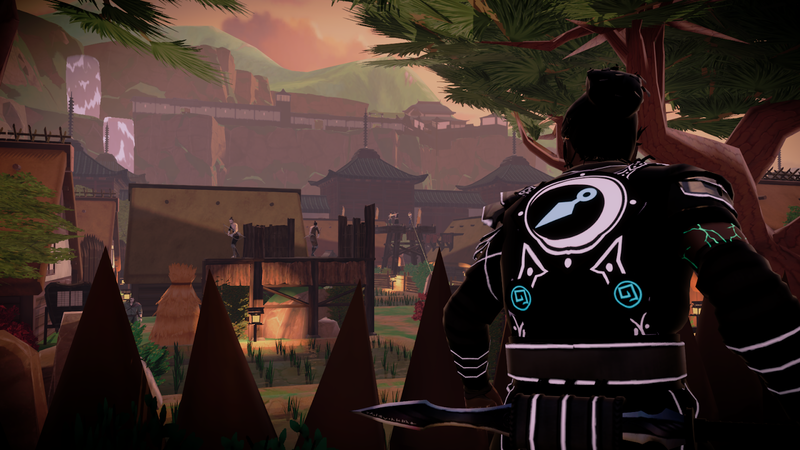 Have you played Aragami: Shadow Edition? What did you think about it?